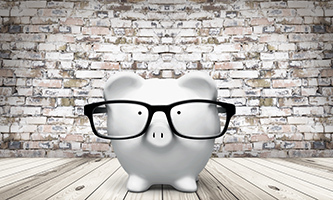 The recent Federal Budget promised to simplify and streamline the rules on personal deductible superannuation contributions. This is welcome news and I commend the government for this announced change. However, the change won’t take effect until the 2018 financial year. Further, given the upcoming election, it’s also possible that a new government will be elected and that the announced personal deductible superannuation contributions changes may never see the light of day. Nevertheless, it’s still important to remember the key trap with the current rules. From 1 July 2017, the Government will improve flexibility and choice in superannuation by allowing all individuals up to age 75 to claim an income tax deduction for personal superannuation contributions. This effectively allows all individuals, regardless of their employment circumstances, to make concessional superannuation contributions up to the concessional cap. Individuals who are partially self-employed and partially wage and salary earners, and individuals whose employers do not offer salary sacrifice arrangements will benefit from these changed arrangements. This is great news. However, for many, it won’t come soon enough. Especially, for those in the following situation, or a situation analogous to it. Leanne and Michael are a married couple. Leanne is the primary care giver for the couple’s children. She works part time as a teacher and earns $15,000 per annum. Michael is a partner in an accounting firm. The equity in the firm is owed via a discretionary trust. The accounting firm is careful to not fall foul of the personal services income or similar rules. They wish to use up Leanne’s concessional contributions cap in the 2016 financial year and the 2016 financial year. How can they do this? Naturally, Leanne could seek to salary sacrifice, but even if she salary sacrificed all of her salary (ie, $15,000), she still won’t be at her cap. Furthermore, this option is unlikely to be helpful for the 2016 financial year given a valid salary sacrifice arrangement must be made prospectively and the 2016 financial year is almost finished. Finally, not all employers are willing or are able to offer salary sacrifice arrangements. Accordingly, option 1 might not be useful. Under the current rules, if Leanne wants to make a personal deductible contribution, broadly speaking, less than 10% of her total income (including reportable fringe benefits and reportable employer superannuation contributions) can be attributable to employment. Due to her salary of $15,000 as a teacher, it could be very difficult for Leanne to satisfy this. Accordingly, option 2 might not be useful. Some might suggest that Leanne works in Michael’s business and that all of her salary be sacrificed as superannuation contributions. However, this can be a vexed and contrived option to say the least for many reasons. One key reason (although not the only reason) is that it is quite possible that the business could fail to be eligible for a deduction. The reasoning is as follows. It’s quite possible that Leanne would fail to be any of the above. Remember, even if all of the paperwork and all of the other attendant ‘window dressing’ occurs that points to Leanne being an employee of the accounting practice, if parties do not truly have the intention to form a contract of employment, the contributions could fail to be deductible. For an example of this in a similar situation see France and Commissioner of Taxation  AATA 858 and Brown and Commissioner of Taxation  AATA 829. Accordingly, option 3 might not be useful. Some people believe that the discretionary trust, which receives the profit distributions from the accounting practice, could make a deductible superannuation contribution for Leanne. Such people say the deductible contribution is on the basis that she might be a director of the corporate trustee of the family trust and does everything necessary for that trust. A superannuation contribution for a director of the corporate trustee of a trust can only be deducted from the income of the trust if the director is a common law employee of the trust engaged in producing the assessable income of the trust or its business. The odds are very low of finding a common law employee of a passive trust (ie, the passive discretionary trust that holds equity in the accounting business). Accordingly, option 4 might also not be useful. As a result, the next option (ie, the last option) becomes very important. The discretionary trust makes distributions to a corporate beneficiary. Leanne is a director of the corporate beneficiary. Under the constitution of the corporate beneficiary, Leanne is entitled to payment of an amount (eg, $100) for the performance of duties as a member of the executive body (ie, for acting as a director). The corporate beneficiary contributes money to a complying superannuation fund and the corporate beneficiary claims a deduction. For those wanting more information, see paragraphs 234–244 of TR 2010/1. In a nutshell though, the reason why the above ‘side steps’ the difficulties with say options 3 or 4 is that under s 290 70 (again, extracted above), it is allowable to be an employee of the contributor ‘within the expanded meaning of employee given by section 12 of the Superannuation Guarantee (Administration) Act 1992’. This expanded meaning includes ‘[a] person who is entitled to payment for the performance of duties as a member of the executive body…’ Accordingly, so long as Leanne is entitled to be paid for being a director, the corporate beneficiary can generally make a deductible contribution for her. For the 2016 and 2017 financial years option 5 is the only legally sustainable option available for many wanting to use up their concessional contributions caps. Is option 5 overly elaborate? Perhaps so. But until the change in the Federal Budget takes effect from the 2018 financial year, this is only option that many have to make maximise their deductible superannuation contributions.